Last Updated: March 28, 2013 by Jackie R.
In spite of the recent snow, I find myself eager for spring’s arrival. Although the winter weather has cooperated, providing enough snow for skiing and ice for hockey, I am excited at the prospect of new opportunities that the warmer months of spring have to offer. After recently hiking in the Michaux State Forest, I observed many signs of the wild turkey. No matter where I walked, their tracks and evidence of feeding surrounded me. Massive chunks of snowy land had been scratched down to the bare soil. Mother Nature had been kind enough to leave an abundance of excess acorns resting on the forest floor and the turkeys took full advantage of her courteous favor. 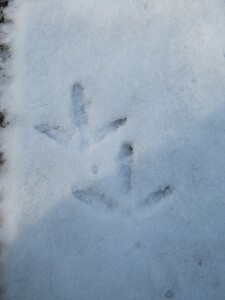 Judging by the extent of scratching and quantity of tracks, it should make for an interesting Spring Gobbler Season. 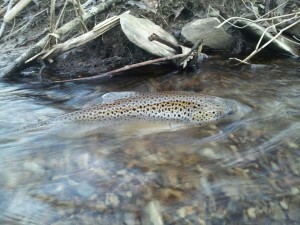 I’m excited for the opportunity to chase down a dandy long-beard on a cool dewy morning in May. 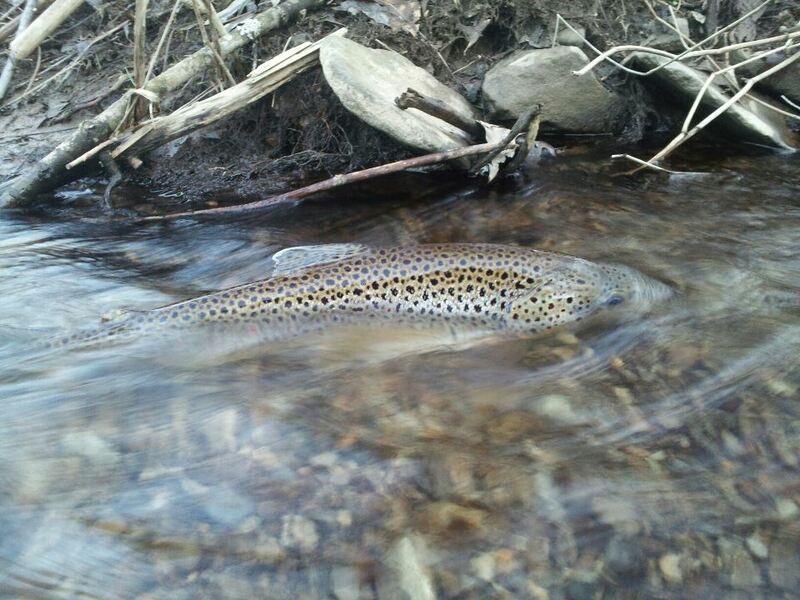 Photo take by Student Matt S.
Soon the PA Fish and Boat Commission will begin stocking southern streams with beautiful Brook and Rainbow Trout and anglers will flock to the water like the turkeys flocking to acorns. Whether along the bank or standing on the smooth slippery rocks in the middle of the water, I yearn to hear the swift falling of the water and the roar of the raging tide, as it spills over into a calm deep hole infested with fish. This is what spring is all about: Finding joy in new opportunities and discovering the beauty and calmness of our natural resources.